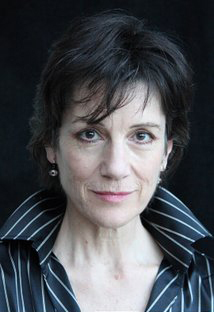 Leading theatre publishers Nick Hern Books are to publish a new book by acclaimed actress Harriet Walter, which shares insights and advice gleaned from her vast experience of performing some of Shakespeare's most famous roles - both male and female. Due for release on 27 October, Brutus and Other Heroines: Playing Shakespeare's Roles for Women is an invaluable guide for actors taking on the parts themselves, an important contribution to the ongoing debate surrounding gender equality in the arts, and a brilliant, intimate celebration of Shakespeare's plays. It is published as Harriet Walter appears in the Donmar Warehouse’s Shakespeare Trilogy, reprising her acclaimed performances as Brutus in Julius Caesar and in the title role in Henry IV in Phyllida Lloyd's all-female productions, as well as taking on the role of Prospero in The Tempest. The Shakespeare Trilogy runs 23 September–17 December 2016, in a specially-built temporary theatre in King’s Cross, London. For more information, visit the Donmar website here. debbie tucker green's engrossing drama hang has been shortlisted for the James Tait Black Prize for Drama 2016. A shattering play about one woman’s unspeakable decision, hang was described by the Evening Standard as 'a stark 60 minutes of staccato poetry', and praised by The Stage as 'a taut, measured piece about the nature of justice and revenge'. It premiered at the Royal Court Theatre, London, in 2015, in a production directed by the author, and featuring Marianne Jean-Baptiste, Claire Rushbrook and Shane Zaza. Also on the shortlist are People, Places and Things by Duncan Macmillan, and Iphigenia in Splott by Gary Owen. This year’s winner will be announced at a ceremony at 5pm on Monday, 22 August in the Traverse Theatre, Edinburgh. To see more about the ceremony, and to book tickets, click here. The winners of the Laurence Olivier Awards were announced last night (3 April), with NHB plays triumphing in a range of categories. Nell Gwynn by Jessica Swale won Best New Comedy. An exhilarating take on the heady world of Restoration theatre, Nell Gwynn was first seen last year at Shakespeare's Globe and is currently playing at the Apollo Theatre in London's West End with Gemma Arterton in the title role. Time Out declared it 'superbly funny… a juicy, well-wrought thing of great fun, a wonderfully layered celebration of theatre, but most of all an apt homage to a woman incredibly ahead of her time'. The night's biggest winner was Stephen Sondheim musical Gypsy, which took home four Awards: Best Musical Revival, Best Actress in a Musical (Imelda Staunton), Best Supporting Actress in a Musical (Lara Pulver), and Best Costume Design. The production began life in Chichester, before transferring to the West End to great acclaim. Other NHB successes included The Winter's Tale - with Judi Dench securing Best Supporting Actress, thereby setting a new record of eight Olivier Awards - and Ma Rainey's Black Bottom, which won Best Revival. 2016 marks the 40th anniversary of the Olivier Awards. These new recipients join dozens of NHB plays that have triumphed over the years, including King Charles III (Best New Play, 2015), Clybourne Park (Best New Play, 2011), The Pride (Outstanding Achievement in an Affiliate Theatre, 2009), Death and the Maiden (Play of the Year, 1992), Jeeves & Wooster in 'Perfect Nonsense' (Best New Comedy, 2014), Stones In His Pockets (Best Comedy, 2001) Mojo (Best Comedy, 1996) and Sweeney Todd (Best New Musical, 1980). Nick Hern Books author Mike Bartlett's provocative, award-winning 'future history' play King Charles III is to be adapted for television. The 90 minute drama, directed by original stage director Rupert Goold, will air on BBC Two. Imagining a constitutional crisis in the immediate aftermath of the death of Queen Elizabeth II, Mike Bartlett's controversional but acclaimed drama explores the people beneath the crowns, the unwritten rules of our democracy, and the conscience of Britain’s most famous family. It draws on the style and structure of a Shakespearean history play, and when it premiered at the Almeida Theatre in 2014 it was praised by the Time Out as a meaty, hilarious, dizzyingly audacious state of the nation political thriller', with The Times declaring 'theatre doesn't get much better than this'. The play, which later transferred to the West End and Broadway and is currently on a UK tour, has already received a number of awards, including the Olivier Award for Best New Play, the Critics' Circle Award for Best New Play, and the South Bank Sky Arts Theatre Award. Mike Bartlett has enjoyed success on television before, with his hit BBC One series Doctor Foster winning two National Television Awards in January. Doctor Foster: The Scripts, containing the complete scripts to Series One of the programme, is to be published by NHB later this year. Mike Bartlett says: "I'm so excited to bring King Charles III to BBC Two. The play has always had the ambition to be an ambitious, provocative, yet popular national story, written to explore the possibilities and contradictions of a figure and a family that we all think we know so well. It can now reach a wider, national audience, and the story can expand out onto the screen. With Rupert Goold directing, and Drama Republic producing, I know it's in the very best hands possible." Complicite and Simon McBurney's hit show The Encounter is to be broadcast live from the Barbican, London, at 7.30pm on Tuesday 1 March. In 1969 Loren McIntyre, a National Geographic photographer, found himself lost among the people of the remote Javari Valley in Brazil. It was an encounter that was to change his life, bringing the limits of human consciousness into startling focus. Inspired by the book Amazon Beaming by Petru Popescu, The Encounter traces McIntyre’s journey into the depths of the Amazon rainforest, incorporating innovative technology into a solo performance to build a shifting world of sound. First seen at the Edinburgh International Festival, and now enjoying a sell-out run at the Barbican before continuing on a UK and international tour, The Encounter has been acclaimed as 'the year's most mind-blowing piece of theatre' (Time Out), with the Financial Times declaring it 'a tour de force that shows contemporary theatre at its most immersive and thought-provoking’. See the trailer for the live stream below - and keep an eye on our blog, The Play Ground, on Monday, where we'll be posting further information about the how to watch along. For now, you can buy the script - which includes 32 colour pages of production stills, behind-the-scenes photos, and essays about bringing the show to life - via our website here. The winner of the 2016 Susan Smith Blackburn Prize was announced yesterday (22 February), with the award going to Lynn Nottage for her play Sweat. Lynn Nottage's last play to be staged in the UK, Intimate Apparel, a multi-award-winning play about the empowerment of a black seamstress in New York City in 1905, received its UK premiere at the Theatre Royal Bath in 2014 before transferring to Park Theatre, London, the same year. She won the 2009 Pulitzer Prize for her play Ruined. The Susan Smith Blackburn Prize is the oldest and largest prize awarded to women playwrights. Established in 1978, the Prize is given annually to recognize women who have written works of outstanding quality for the English-speaking theatre. The winner receives $25,000 a signed print by artist Willem de Kooning, while all other finalists are each given an award of $5,000. Four other Nick Hern Books writers were shortlisted for the 2016 Prize: Sam Holcroft (Rules for Living), Anna Jordan (Yen), Suzan-Lori Parks (Father Comes Home From the Wars Parts 1, 2 & 3) and Bea Roberts (And Then Come The Nightjars). This marks the fourth year in a row that an NHB writer has won the Prize, following Tena Štivičić (3 Winters) in 2015, Lucy Kirkwood (Chimerica) in 2014, and Annie Baker (The Flick) in 2013. Other NHB winners include Caryl Churchill, Elizabeth Kuti and Chloë Moss. The Theatre503 Playwriting Award provides an incredible opportunity for playwrights at all levels to be recognised for writing an outstanding, original piece of work for the stage. Entries are now open until 29 February. The winner of the award will receive a £6000 prize, a guaranteed production of their play at Theatre503, and their script published by Nick Hern Books. To help you get inspired for your entry, we're offering 25% plus free UK p&p on a selection of Theatre503 plays - click here to see the full list and more info on how to claim the discount. The ten finalists for the 2015-2016 Susan Smith Blackburn Prize were announced yesterday (26 January), with five of the list comprised of NHB playwrights. Sam Holcroft (Rules for Living), Anna Jordan (Yen), Lynn Nottage (Sweat), Suzan-Lori Parks (Father Comes Home From the Wars Parts 1, 2 & 3) and Bea Roberts (And Then Come The Nightjars) are all on the shortlist, with the winner announced at a ceremony at the National Theatre, London, on 22 February. The Susan Smith Blackburn Prize is the oldest and largest prize awarded to women playwrights. Established in 1978, the Prize is given annually to recognize women who have written works of outstanding quality for the English-speaking theatre. The winner receives $25,000 a signed print by artist Willem de Kooning, while all other finalists are each given an award of $5,000. NHB writers have won the last two Susan Smith Blackburn Prizes, with Tena Štivičić winning last year's Prize for her play 3 Winters, and Lucy Kirkwood triumphing in 2014 with Chimerica. Other NHB winners include Caryl Churchill, Elizabeth Kuti and Chloë Moss. The 2013 Prize went to Annie Baker for her play The Flick, which is published alongside its UK premiere at the National Theatre, London, in April.